For way too long, the sneaker scene and the hyping around it has largely centred around the male market. Thankfully, pioneers such as Aleali May, Christina Paik, Careaux and Ugly Mely increasingly showcase the importance of female style and sensibilities within the global scene, and help to not only showcase it, but also develop it’s influence too. It’s something we celebrate loudly here at IDYSM, with the stories of the likes of Rachel, Li-Anne and Molly, all acting to show how the ladies both demand and deserve their own presence within the scene. To cater for this side of the market, the Solefiness project has been created to offer a specialist destination for the female fashion conscious sneaker lover. After working with the likes of Nike, Nike SB, adidas, Reebok, Vans, and Sneakerboy the project’s founder Murata aims to charter new territory in the sneaker game, and as the latest name in IDYSM’s In Their Shoes interview series we look forward to sharing the story of Solefiness and all it aims to achieve in the game. IDYSM: Hey Murata. Thanks for your time. So please tell us a bit about you, your background and what sneaker culture means to you. MURATA: Hey IDYSM, thank you for the opportunity! I grew up in Christchurch, which is where I studied Fashion Design. I moved around different cities in NZ before moving to Melbourne about 10 years ago, and have also spent a bit of time in The Netherlands. Design for me was more of a hobby than something I was talented enough at to actually make a career of, so I directed my aspirations into planning, purchasing and analytics for various major sports and lifestyle footwear brands. I’ve always appreciated sneaker culture and the sub cultures of art, music and fashion that comes with it. Working in that kind of environment also means that you are constantly immersed in all the different aspects, not just the gloss. To me the culture is just interactive pieces, where those pieces that you connect with most, just become a part of you and your lifestyle. IDYSM: So tell us a bit about your inspiration for Sole Finess, how did you come up with the idea? MURATA: Sole Finess is just a curated extension of my personality. I’ve always loved sneakers, but like most females in this region, finding good sneakers isn’t easy, especially in smaller sizes. Even though accessibility has improved considerably, I think that my exposure within the industry over the years has lead me to this point where I might actually be able to help change the game, even if just a little. IDYSM: What makes Sole Finess so unique? MURATA: It’s not just sneakers. We’re building a collaborative platform to work with local and international female artists, illustrators, designers, photographers and all round boss ladies. It’s a space where we can create, share and connect whilst having fun and talking sneakers. IDYSM: Why is now the right time for a project like this? MURATA: Sole Finess couldn’t have come at a better time because everyone’s been ready for something like this to happen for a while, so it’s already highly anticipated. We’re really excited to be the first to test out the market and so far the response has been phenomenal. IDYSM: Who is the intended Sole Finess consumer? MURATA: Sole Finess is targeted to all the females out there who want to help change the game. You don’t have to be a sneaker enthusiast, or even be into the sneaker or street culture, sneakers are just a part of who you are. 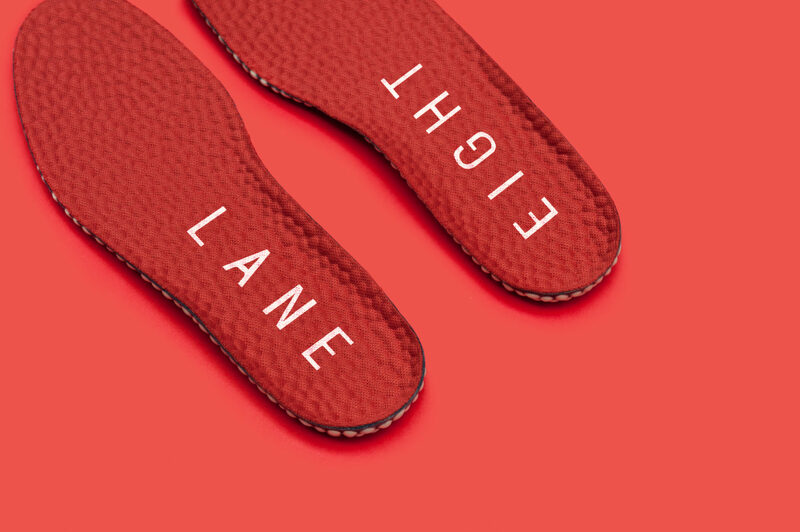 Sole Finess is for the Honeys, all the Honeys. IDYSM: The amount of product being dropped right now is at an all time high. How will Sole Finess keep up with this, but also establish it’s own sense of identity? MURATA: Being the first women’s dedicated sneaker boutique of this kind in Australia, there is a huge expectation on what it needs to become and of course, there’s a lot of pressure around it. We’ve been listening to our consumers and we know what they want but even then, we are still very limited to what we have access to here. The brands are finally starting to understand and are 100% fully supporting us, but getting access to products inline with the US, Europe or in smaller sizes is going to take time. We are definitely catching up but there’s still a long way to go. IDYSM: What kind of brands and product will best represent Sole Finess and why? MURATA: Sneaker culture has been around for a really long time but as the female driven part of it is much more recent, there is still a bit of hesitation on experimenting with technical styles, and more of a draw towards classic silhouettes in updated tonals and textures. Mens styles in smaller sizes are also represented where possible because they almost always come in a better neutral colourway. IDYSM: How has the sneaker retail landscape changed in recent years, especially with the introduction of more conceptual experiences like that offered by the likes of Sneakerboy? MURATA: There’s obviously been a huge growth in sneaker retailers over the past few years and the diversity is fantastic because it gives consumers the opportunity to make better informed purchases as opposed to always just being boxed into the same genre, because that was all there was. Being online only especially in Australia is pretty revolutionary too, we’re able to reach a worldwide audience with just a click of a button. IDYSM: And I’m guessing from the name, Sole Finess will offer a finessed approach? MURATA: No doubt. We have artist collaborations, which we print on our carry bags and giveaway seasonally, we offer free AU express shipping on all orders and our customer service is exceptional. We want to ensure that when you make a purchase from Sole Finess, you know you’re not just buying from any other sneaker retailer, you get a much more personal experience. IDYSM: The decision to focus on the female only side of the culture implies there are differences between the female and male markets. How do you see the 2 sides of the game differing in regards to product, consumer and marketing? MURATA: Females have always been drawn to mens styles and even now we are seeing that in vice versa, so the gap between the markets is definitely getting smaller, especially with more products being made available in unisex sizing and gender neutral tones. It’s great to see the recent shift with female designers too because who better to know what the female market wants right? What a time. IDYSM: The last 18 months have seen the big brands visibly working hard to showcase their intentions for the female market (Puma especially with their deals with Rhianna and Kylie Jenner), so how exciting is this era for the female sneaker enthusiast? MURATA: Having influencers that the female audience can connect with plays a huge part in the evolution. There has been more of a female focus than there has ever been before and it’s about time that the recognition was there, because we are just as much a part of this culture as the guys. IDYSM: So it’s only new, but what are your plans for Sole Finess for the rest of 2016, and 2017. MURATA: Our followers have been so incredibly patient and supportive so we definitely want to make sure that we keep looking after them by amplifying the range over the next few seasons. Also, maybe a launch party. IDYSM: ‘In Their Shoes’ interviews always end with this signature question, so…what’s on your feet right now?